Crovella, S., D. Montagnon, B. Rakotosamimanana, and Y. Rumpler. 1994. 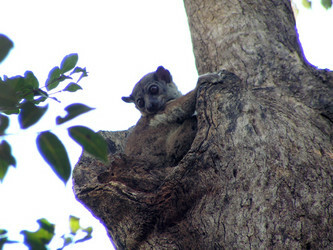 Molecular biology and systematics of an extinct lemur, Pachylemur insignis. Primates 35:519?522. Groves, C. P. and R. H. Eaglen. 1988. Systematics of the Lemuridae (Primates, Strepsirhini). J. Human Evol. 17:513-38. Horvath, J. E. and F. W. Huntington. 2007. Primate comparative genomics: lemur biology and evolution. Trends in Genetics 23(4):173-182. Simons, E. L. and Y. Rumpler. 1988. 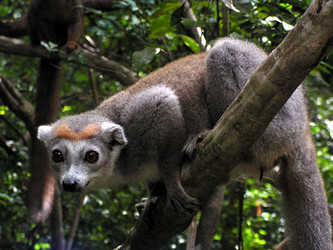 Eulemur: new generic name for species of Lemur other than Lemur catta . C. R. Acad. Sci. Paris, ser. III, 307:547-51. Yoder, A. D and J. I. Irwin. 1999. Phylogeny of the Lemuridae: Effects of character and taxon sampling on the resolution of species relationships within Eulemur. Cladistics 15(3):351-361.